I am fascinated by the history of North Omaha, Nebraska. After spending a decade growing up near 24th and Fort, I was infused with the rich history of the community by many of the adults who made my teenage life rich and successful. Stemming from that fascination, I have researched and written more than 200 articles on Wikipedia related to North Omaha history. I research the city using the Internet and a collection of recent and older local history books, and articles, as well as a small trove of artifacts I collected as a youth. There are also more websites about Omaha history than ever before, and I use those too. The people who built my appreciation for North O’s history include Idu Maduli, who introduced me to many of the neighborhoods in the area and the breadth and depth of history in North Omaha starting when I was 14. Rev. Helen Saunders taught me a little bit about the culture before that point. My othermother, Betty Peoples, hauled me around the neighborhood and through its realities. David Porter, John Stokke, and Margaret Hansen piqued my interest in the architecture of the area. Jeff Koneck was my forth grade teacher who showed me the city had a history, while Von Tremble was a mentor in boy scouts who retired as an undertaker and showed me the richness of the city’s African American culture. Following is a list of places I would visit on a long, winding North Omaha history tour. If you have anything you would like me to write about, add, or otherwise know, please share here. I LOVE NORTH O! These are listed by neighborhood, starting at Dodge Street and heading northwards. Note that all links go to articles I created, either on Wikipedia or on this blog. Omaha Central High School, 124 N. 20th St. – Originally known as Omaha High School, it was built on the site of the Nebraska Territorial Capital in the 1850s and 1860s. Squatter’s Row, between N. 11th and N. 13th St., from Nicholas to Locust St. – This is where poor people built shacks, all the way into the 1950s. Holy Family Church, 915 N. 18th St. – Built by working class European immigrants who lived on the north side of Omaha. Jefferson Square, bounded by North 15th, 16th, Chicago and Cass Streets – Omaha’s first park, it was bulldozed to construct I-480. At the end of it’s life Jefferson Square was called a “bum’s park” for the homeless people who lingered there. Market House, Capitol Avenue from North 12th to North 14th Avenues – A site for local farmers to sell produce, eggs, poultry and more through the 1880s. Florence Boulevard, from Burt St. north to J.J. Pershing Dr. – Omaha’s first park-like street starts from North Downtown. A section of it was called “The Most Beautiful Mile” for many years. One of the oldest houses in North Omaha, 1120 North 20th Street – A squatty little house built in 1875, making it. The Near North Side neighborhood runs from N. 16th St. on the east to 30th St., and from Cuming St. to Locust St. on the north. Its where a lot of Omaha grew up, including working class European immigrants, Omaha’s Jewish community, and for the last 80 years its served as the core of Omaha’s African American community. In 1860, the City of Omaha handed out lots to Nebraska Territorial legislators to keep the capitol in Omaha. The area they drew from ran from the Missouri River to N. 30th Street, Cuming to Lake St., and was called Scriptown. North 24th Street is the historic commercial and cultural center of North Omaha. Starting with European immigrants in the 1870s, the strip built up for the next 50 years. In the 1920s, it became the heart of Omaha’s African American community, packed with businesses, theatres, clubs and churches run by Blacks, for Blacks. In the 1960s it was ravished by several riots, and today it is still recovering. Fair Deal Cafe, 2118 N. 24th St. Carver Savings and Loan Association, 2416 Lake St.
Howard Kennedy School, 2906 N. 30th St.
Paul Street School/Kellom Elementary School, 1311 N. 24th St.
Lake School, 2410 N. 19th St.
Long School, 2520 Franklin St.
George H. Kelly House, 1924 Binney St.
Broomfield Rowhouse, 2502-2504 Lake St.
Webster Telephone Exchange Building, 2213 Lake St.
St. John’s African Methodist Episcopal Church, 1921-562402 N. 22nd St.
Calvin Memorial Presbyterian Church, 3105 N. 24th St.
Malcolm X Birth Site3448 Pinkney St.
Jewell Building/Dreamland Ballroom, 2221 N. 24th St.
Jewell Building, 2221 N. 24th St.
Lizzie Robinson House, 2864 Corby St.
Sacred Heart Catholic Church, 2206 Binney St.
Holy Family Catholic Church, 915 N. 18th St.
George F. Shepard House, 1802 Wirt St. The Sherman, 2501 N. 16th St.
Harry Buford House, 1804 N. 30th St.
Zion Baptist Church, 2215 Grant St.
Strehlow Terrace, 2024 N. Sixteenth St.
Gifford Park, North Freeway to N. 38th St.; Dodge to Cuming St.
Garneau-Kilpatrick House, 3100 Chicago St.
Melrose Apartments, 602 N. 33rd St.
California Pharmacy, 33rd and California Sts. Circle Theater, 524 N. 33rd St.
Technical High School, 3215 Cuming St.
Duchesne Academy, 3601 Burt St.
Monmouth Park School, 4508 North 33rd St.
Omaha North High School, 4410 N 36th St.
Bemis Park Landmark Heritage District, Cuming St. to Hawthorne Ave., Glenwood Ave. to N. 33rd St.
Zabriskie House, 3524 Hawthorne Ave.
Gold Coast Historic District, N. 36th St. on the east to N. 30th on the west; Jones St. on the north to Cuming St. on the south. George A. Joslyn Mansion, 3902 Davenport St.
Havens-Page House, 101 North 39th St.
Kountze Park, 1920 Pinkney St.
Trans-Mississippi Exposition Site, 1920 Pinkney St.
Sacred Heart Catholic Church Complex, 2206 Binney St.
John P. Bay House, 2024 Binney St.
Lothrop School, 3300 N. 22nd St.
Omaha Presbyterian Theological Seminary, 3303 North 21st Place. North/Calvin Memorial Presbyterian Church, 3105 N. 24th St.
Charles Storz House, 1901 Wirt St.
Benson neighborhood, Fontenelle Blvd. to N. 72nd St., Blondo to Ames Ave.
Benson City Hall, 6008 Maple St.
Monroe Middle School, 5105 Bedford Ave.
Krug Park/Gallagher Park, 2936 N. 52nd St.
Orchard Hill neighborhood, Hamilton St.to Blondo St.; N. 36th St.to Military Ave. Prospect Hill neighborhood, N. 30th St.to 36th St.; Lake St.to Hamilton St. Prospect Hill Cemetery, 3202 Parker St.
Salem Baptist Church, 3131 Lake St.
Walnut Hill neighborhood, N. 40th St. to Saddle Creek Rd. ; Cuming to Hamilton St.
Walnut Hill Pumping Station, 38th and 40th St., from Hamilton to Nicholas St.
Saunders School, 415 N. 41st Ave.
Epeneter House, 502 N. 40th St.
St. Cecilia’s Cathedral, 701 N. 40th St.
Dr. Samuel D. Mercer House, 1885 3920 Cuming St.
Saratoga neighborhood, N. 24th St.between Ames Ave. and Storz Expressway. Saratoga School, 2504 Meredith Ave.
Omaha Driving Park, Laird and Boyd Streets, and 16th to 20th Streets. A and P Grocery Store, N. 24th and Ames – Still stands. North Star Theatre, N. 24th and Ames – Still stands. City of Omaha Fire Departments, N. 22nd and Ames – Still stands. Sherman Elementary School, 5618 North 14th Ave.
Carter Lake Park, 3100 Abbott Dr.
Miller Park neighborhood, Florence Blvd. to N. 30th St.; Sorensen Parkway to Redick Ave.
Miller Park, Saratoga St. on the south to Redick Ave. on the north; Florence Blvd. on the east to N. 30th St. on the west. Miller Park Elementary School, 5625 North 28th Ave.
Pearl Memorial United Methodist Church, 2319 Ogden St.
Golden Hill Cemetery, 5109 N. 42 St. Pleasant Hill Cemetery 6412 N. 42nd St.
Hinky Dinky store (Formerly O.P. Skaggs and Hadley’s Grocery), N. 42nd and Grand St.
Edith’s Candy Store, N. 42nd and Grand St. Flower Shop, N. 42nd and Grand St.
Central Park Pharmacy, N. 42nd and Grand St.
Pinky’s Pizza Palace, N. 42nd and Grand St.
New Covenant Church of God in Christ (formerly Gethsemane Lutheran Church), 5325 North 42nd St.
Former Mount Olivet Baptist Church, North 38th and Grand Ave.
Quoc An Vietnamese Buddhist Temple, 3812 Fort St.
Central Park Congregational Church, N. 42nd and Saratoga St.
Central Park School, N. 42nd and Grand Ave.
Sorenson Parkway, from N. 30th St. to N. 90th St.
Springwell Danish Cemetery, 6326 Hartman Ave.
Fontenelle Park, 4575 Ames Ave.
Fontenelle Boulevard, Military Rd. to N. 30th St.
Nebraska School for the Deaf, 3223 N. 45th St.
Leo Vaughn Manor, 3325 Fontenelle Blvd. Minne Lusa, N. 24th St. to 30th Street; Craig St. to Redick Ave.
Minne Lusa Pumping Station, Grebe St. and John J. Pershing Dr.
Harry Neef House, 2884 Iowa St.
Former Miller Park Grocery, 24th and Redick Ave.
Former Minne Lusa Tavern and Minne Lusa Restaurant, 7202 North 30th St.
Heartland Family Service (Former Minne Lusa Theater), 6714-6720 North 30th St.
Site of the former North Omaha YMCA, 6330 North 30th St.
Viking Ship (aka Prettiest Mile Club and Birchwood Club), 2582 Redick Ave.
Florence neighborhood, N. 30th St. between Craig Ave. and Bondesson St.
Florence Mill, 9102 N. 30th St.
Weber Mill, 9102 N. 30th St.
Florence Depot, 9000 N. 30th St.
Bank of Florence, 8502 N. 30th St.
Florence School, 7902 N. 36th St.
Florence Firehouse, 8415 N. 29th St.
Florence Water Works, John J. Pershing Dr.
Notre Dame Academy and Convent, 3501 State St.
Keirle House, 3017 Mormon St.
Potter’s Field, 5000 Young St.
Forest Lawn Cemetery, 7909 Mormon Bridge Rd. Mormon Pioneer Cemetery, 3301 State St. Dodge Park, 11001 John J. Pershing Dr.
Hummel Park, 11808 John J. Pershing Dr.
Fort Lisa, located approximately at the junction of J.J. Pershing Dr. and Ponca Rd. 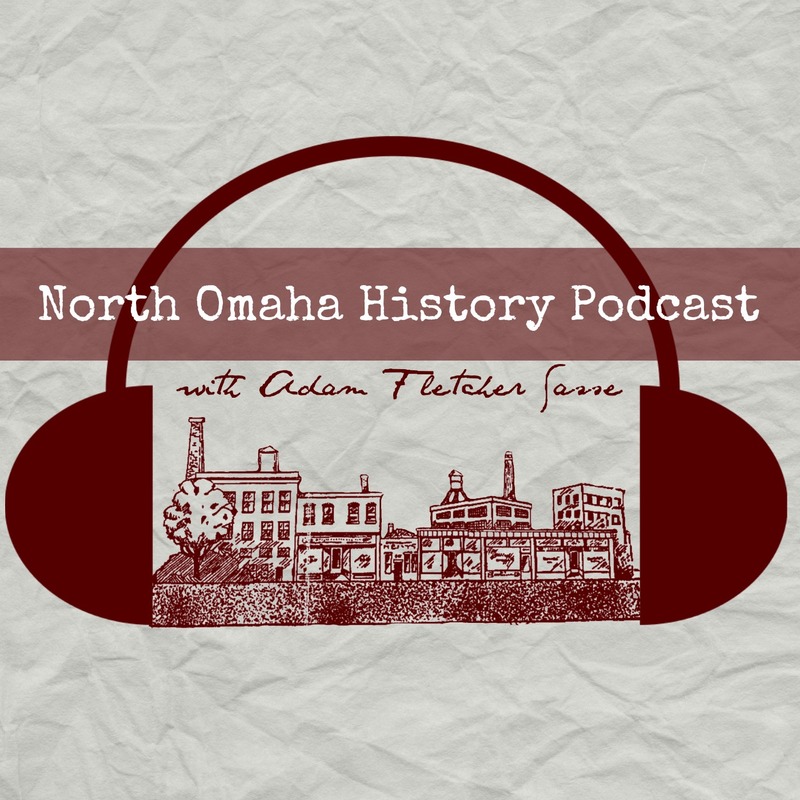 cAdam, I love your blog on the history of North Omaha. I too am interested in early Omaha and I visit your site often as it is so informative. “An historical” is not correct. “A historical”, is correct because “historical” is not a vowel sound word. “hour” is, but other words like “historic”, “homosapien”, etc… are not so “a” is used instead of “an”. Hi Pam, and thanks for writing! Let me make sure I understand: you’re looking for a drug store that was at or near 16th and Ames. I can’t find one. Looking through the Omaha World-Herald archives, I can’t find a mention of a drug store there, or at 16th and Carter Lake Drive, just up the street. Sorry. Hope anything there is useful. Good luck in your search. Thanks to Ron, I’ve found what you’re talking about Pam. I’ll add the info to my article on N. 16th and put a link up here. Awesome my mother was employed at 16 & Locust Drug Store as a young woman. Dearest Adam appreciate and enjoy all your articles. Are there any before and after topographical shots of the neighborhoods on the North Omaha area between from Cummings to Hamilton. I recall many yards twinning , connecting into alleyways, it reminded me of a lil country town here in TX. But I was thankful I saw it and remembered it as a child. We lived on N 28th Ave, our backyards and alleyways ran parallel along the ridge of the Freeway. It was like the earth opened up and swallowed that whole community. It was never the same. Thank you. I enjoyed reading about North Omaha. From the time I was 3 years old until I went into the 8th grade I lived at 2127 Evans Street. When I got into the 8th grade we moved to 2427 Fort Street and I went to Miller Park School. This was in 1955-56.